A short review by Minismurf: Minismurf/ On Korean Go Books, including a link to a sample. Blitzcrank: (this review refers to the french issue of the book) In his book GO: Invasion & réduction, divided in two volumes, Lee Changho describes various techniques of invading and reduction through examples taking entirely from his games. Each volume consists of two chapters, chapter 1: Invasion and chapter 2: Réduction. The material is not organised any further, instead each sub-chapter deals with one particular situation in which an invasion or a reduction were expedient. As mentioned above, the material is taken entirely from Lee Changho's games, notably very important title matches and other, now "legendary" games, from the decade 1990 - 1999. For example, a moyo invasion from the match against Takemiya Masaki during the 3rd Fujtsu Cup, 1990-04-09, is presented. Most of the presented games were played against Cho Hun-hyeon. Each sub-chapter starts with a diagram of the situation to be assessed. On the following page, the moves leading to the situation are given. Then, possible and actual variations are presented and discussed in meticulous detail. As the reader will notice, many of the games start with nirensei vs. nirensei, the mini-chinese fuseki comes up often, too. 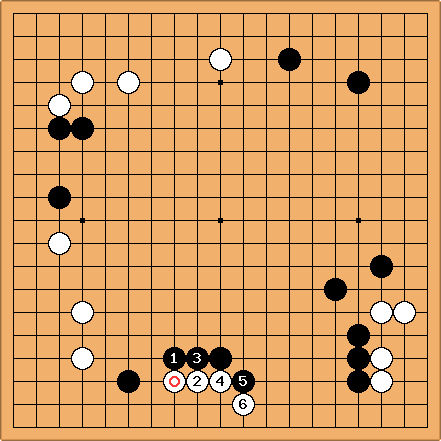 I think this is a great plus for the amateur reader, since the nirensei pattern comes up often in amateur play and it is not so easy to find material about it. I encouter the nirensei often on KGS. Black's answers a, b, c, d and e to white's invasion are examined, but a, b, c and d are discarded. Then, the various possible follow-ups are examined. One good variation is shown here. Then the possible moves are again assessed and so on. All in all, the different situations are very thoroughly explained. 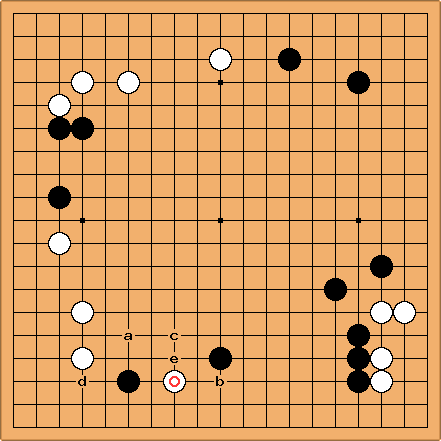 As a plus, many of these invasion often occur in "normal" games which is very useful to amateur players, and standard invasion techniques are explained, similar to Fundamental Principles of Go. Also, Lee Changho makes often use of probes and explains the ideas behind them. It is explained through the examples when to invade and when to reduce, and in general how to use accumulated thickness to create profit.
" The first volume of "Invasion & Réduction", written in 1998 by Lee ChangHo, is translated by Francis JUH, a 3-dan korean player living in France, and Jean-Philippe LEDUC, a french 2-dan. This is the first time such an important body of high-level material is published in french."